As yoga is being incorporated into more classrooms and P.E. curricula, you may be wondering what your kids can get out of doing yoga. Children can enjoy many of the same benefits of yoga that adult s do, such as improved body awareness, coordination, and stress relief. Experiencing yoga will encourage kids to explore the unfamiliar with open minds and be comfortable in their bodies. For kids who are not good at (or don’t enjoy) conventional sports, yoga may provide a much-needed physical outlet in a non-competitive environment. As they reach their teenage years, yoga can help young adults deal with their changing bodies and give them ways to combat stress in academic and social situations. Put out mats for yourself and your child(ren). Let the kids choose some music, but make it parent's choice during final relaxation. Although children are naturally flexible, they probably will not do the poses “correctly” in the adult sense of the word, so it’s important to keep things simple. Basic breath work, such as three-part breath can also be introduced to older children. Just learning to take deep breaths and clear the mind can be helpful to kids since this is a proven way to reduce anxiety. Follow along with a video. Be ready to cut things short when interest wanes in younger children. At the age of 9 or 10, most kids are ready to receive more detailed instructions about alignment. If you are an experienced student or yoga teacher, you can begin to correct their poses to make them safer and more beneficial. Most of all, have fun. 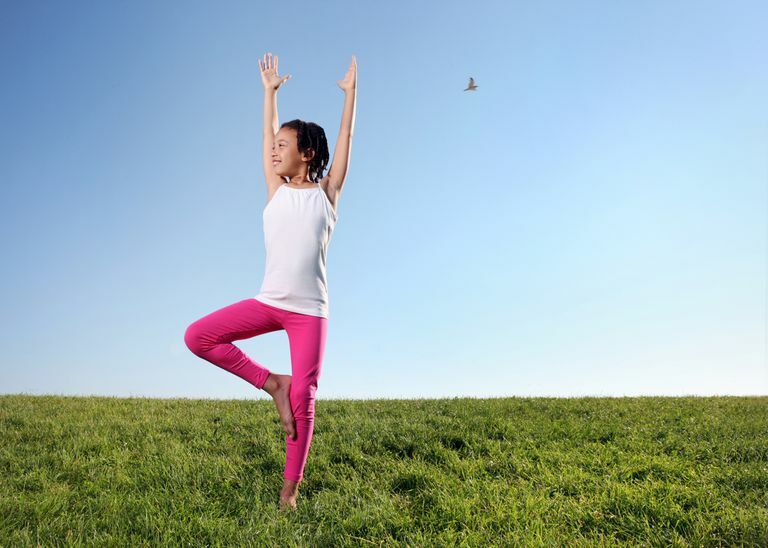 Giving your kids a familiarity with yoga now is a wonderful way to encourage a life-long interest in a healthy lifestyle.